So your Magistrate’s Decision came out in your Ohio Family Law case and you do not like the result. Here are 17 things you need to know about Objections to Magistrate’s Decisions in Ohio. Objections to Magistrate’s Decisions are governed by Ohio Rule of Civil Procedure 53(D)(3). Sometimes the Judge’s Entry Adopting the Magistrate’s Decision comes in the mail at the same time as the Decision. That does not mean that you cannot object to the Magistrate’s Decision. Per Ohio Rule of Civil Procedure 53(D)(3)(a)(ii), a Magistrate’s Decision may be general unless Findings of Fact are timely requested. Timely requested means that Findings of Fact are requested before the entry of the Magistrate’s Decision or within 7 days after the entry of the Magistrate’s Decision. It is going to be difficult to Object to the Magistrate’s Decision without Findings of Fact. For good cause shown, courts shall allow a reasonable extension of time for a party to file a motion to set aside a Magistrate’s order or objections to a Magistrate’s decision. Civil Rule 53(D)(5) says that failure of the clerk to timely serve a party is good cause. Note, this does not apply to a request for findings of fact and conclusions of law. Objections must be specific and state all grounds for objection. Objections to a factual finding must be supported by a transcript or an affidavit of that evidence if a transcript is not available. These transcripts must be filed within 30 days of the filing of the objections unless the court extends the time for filing in writing. Civ. R. 53(D)(3)(b)(iii). Trial transcripts are expensive, and the court is generally not going to pay for the transcript, the cost goes to the objecting party. Most of the time the court reporter will give you an estimate of the cost in advance if you ask. Except for a claim of plain error, a party may not appeal the court’s adoption of any factual finding or legal conclusion not specifically designated as a finding of fact or conclusion of law unless the party has objected to that finding or conclusion of law at the trial court level. Per Ohio Rule of Civil Procedure 53(D)(4)(a), a magistrate’s decision is not effective unless adopted by the court. The Judge is to take an independent review as to the objected matters to ascertain that the magistrate has properly determined the factual matters and appropriately applied the law. Civ. R. 53(D)(4)(d). This does NOT mean that the Judge gives you a new trial. The Judge MAY hear additional evidence on objections to appeal, but may refuse to do so unless the objecting party demonstrates that the could not have, with reasonable diligence, produced that evidence for consideration by the Magistrate. Civ. R. 53(D)(4)(d). The Judge may enter an interim order on the basis of a Magistrate’s decision without waiting for a ruling on timely objections where immediate relief is warranted . Civ. R. 53(D(4)(e)(ii). The order can last not more than 28 days, but can be extended in increments. Is the first consultation free? I need to know my options and the time for objection of the Magistrate. Why does a two year marriage take so long to get a divorce in Ohio? My spouse and I were married two years then she moved to another state, and filed for divorce. It should be a simple case, because she simply abandon the marriage. Instead it has become very lengthy, expensive. There are no children involved. Please help me understand why. This has been very stressful for me. There seems to be no end in sight all of my money is being spent on this divorce with all the lawyer fees magistrates temporary orders it truly is insane. 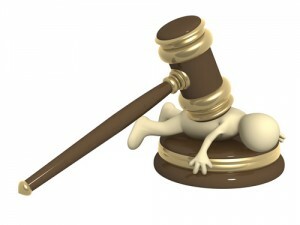 How often does a judge overturn a ruling on a magistrates decision on child support? I’m a father whose had sole legal custody of my daughter, now 11, for past 6 years. I wish to share custody with her mother at this time. Can i just go back to court and ask judge to reinstate my wife with joint custody or is there more to it than that? I would like to know more of my options. If the other party is filing an objection to a contempt for refusing parenting time does this mean that person doesn’t have to go by the court order for the contempt? Stay of execution?